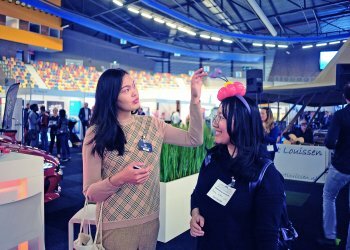 More than 40 international students represented Wittenborg University of Applied Sciences at the Buitngewoon Business event held in Apeldoorn recently. 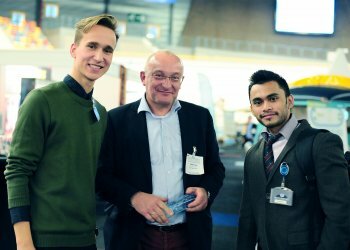 This is the first B2B event for entrepreneurs in the Stedendriehoek region, according to the organisers. Students got the opportunity to interact one-on-one with dozens of entrepreneurs from the region and also pitch themselves and their ideas. Business owners in turn also introduced to the audience what their business is all about and their needs. One of the students who attended the event is Chinese MSc student, Yudu Zeng, said she was grateful for the opportunity: "Through attending this event, not only have I learned how to effectively pitch myself to companies, but it also helped me to establish initial contacts with a few local businesses which are related to my backgrounds. And who knows? It is possible that these initial contacts may transform into tangible opportunities in the future. Hartelijk dank!" 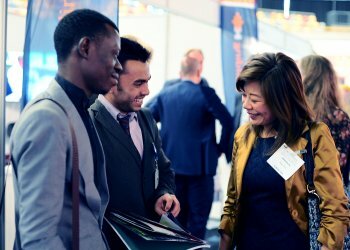 Zeng follows an MSc in Sport Business Management at Wittenborg.